Foreign Object Debris (FOD) is any substance, article or debris that is alien to and can cause damage to a system or vehicle. Around an aircraft, this can be present externally—bird strike, ingestion of foreign objects into engines such as garbage, tools, GSE or even a human—and internally—foreign objects dropped in the cockpit, for example, where controls can get jammed or put out of action altogether. FOD can also be found in other areas of the aircraft such as wheel wells – airborne debris such as dirt, sand, rocks and even small animals can make their way into the area and cause damage or malfunction. But one aspect of FOD management that gets the least amount of air time is hangar tidiness and tool and spares storage. ‘Tool measures’ is the name for the standard procedure that mechanics are required to carry out, to account for every tool used during maintenance. An aircraft is not allowed to leave the area for redeployment unless every tool is accounted for. Lapses in this procedure can cause a bottomless list of malfunctions, and therefore accidents. Perhaps one challenge technicians have is the lack of space upon their height access equipment for tool storage. With this, is the heightened possibility of tools being placed on or in the aircraft to free up a hand. Another possibility of heightened FOD danger is placing tools on a work platform or ladder, and have them fall into the aircraft from either inadequate space on the platform, or an ill-fitting platform that leaves too much of a gap between its edge and the working area of the aircraft. And work platform companies are identifying opportunities to increase safety around this issue. Portable height access provider SafeSmart Aviation develop products that protect aircraft technicians from falls from height, and have been commissioned by the US Air Force, United Airlines and many more operators. In addition to height access concerns, SafeSmart design products that have ample space for several technicians to stand for longer periods of time, without having to descend and ascend ladders to change tools. And with that, comes the space to place tools on the deck—with optional foot-level fabricated barriers—or on custom-made hip-height trays or carriers. SafeSmart have implemented these ideas into many wing docks, tail docks, adjustable-height stairs and more, for many clients. SafeSmart Aviation’s Tom Biggs, of their Canadian branch, says that the demand is increasing for this type of FOD prevention. And Tom observes the industry is considering the dangers in a proactive, rather than a reactive way as part of their hangar fit-out when looking for height access solutions. 1. 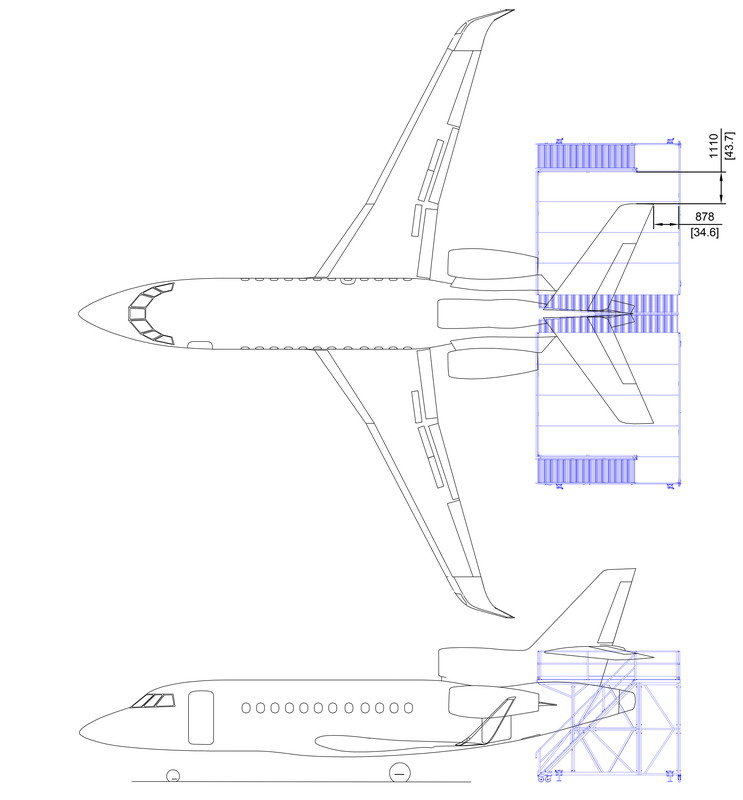 The platform is designed to be wheeled up to the aircraft by hand, as close to the tail and fuselage as possible, without it touching the aircraft skin. This creates the smallest gap possible, for prevention of the dropping of tools onto the hangar floor or flight line. 2. The platform is also designed to be big enough for more than one technician, but more importantly, all the tools needed for getting the maintenance activity done are kept together at height, and are not forgotten about on the hangar floor or flight line. Increased storage area for tools also frees up a hand of a technician, and it is wide enough so that the free hand is not used to help the technician balance themselves, as would be the case on standard ladders or smaller work platforms. 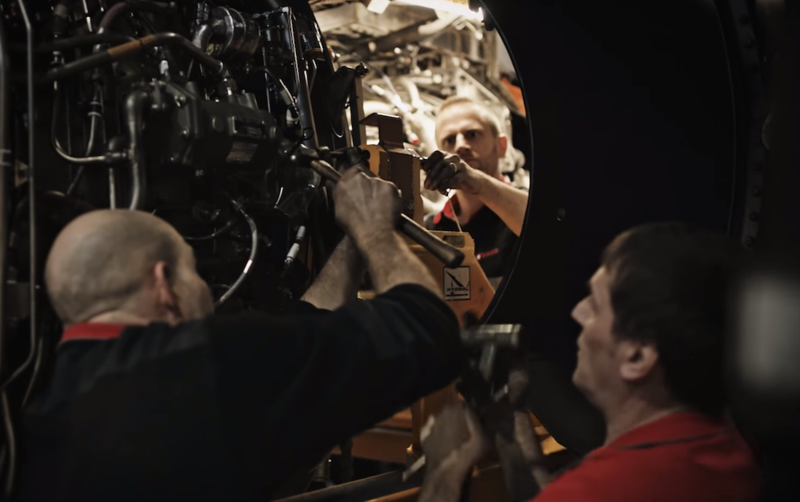 With this design, SafeSmart have allowed SC Johnson’s technicians to keep the floor completely free of any maintenance-related FOD that could be ingested into the engines.